A long-term plan by trainer Warren Greatrex came to fruition at Punchestown on Thursday when the front-running One Track Mind (6g Flemensfirth-Lady Petit, by Beneficial) came out best in the feature Grade 1 Ladbrokes Champion Stayers Hurdle. Gavin Sheehan was always confident aboard the Flemensfirth gelding, who connections feel could prove even better when going over fences next season. 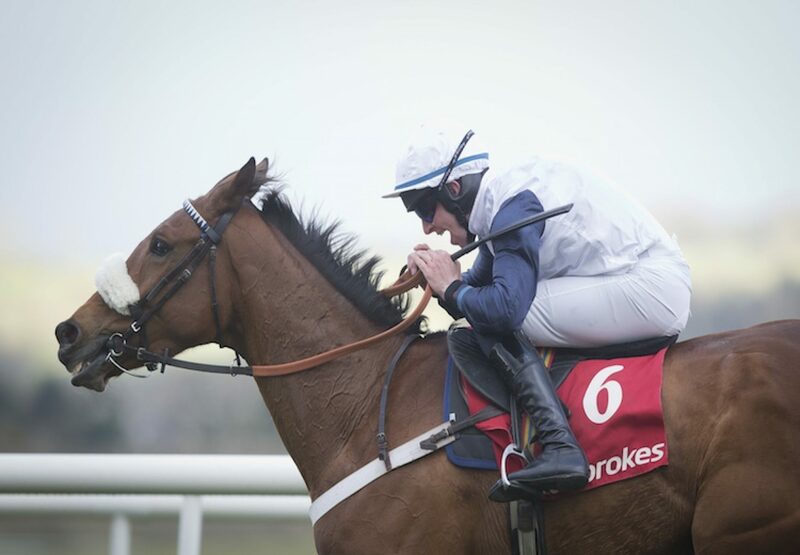 “This has been the plan all season and we just brought along the horse slowly,” said Greatrex. “It was of those surreal feelings watching the race as I was happy the whole way through. We broke this horse and have had him the whole way through. “He’s a brilliant jumper and will go chasing next season. He’s big and raw and will improve for another season. We’ve always thought he could be a really nice horse He’s a real stayer and Gavin went out and made it a test for them. He had plenty left going over the last and wasn’t going to get beaten.” Sheehan added: “One Track Mind was brilliant. We have always liked this horse and in the early days we thought this was going to be the best horse we had in the yard. “Coming over here, he was a fresh horse. The more company he has the better he is. You saw going down to the last that he put his head down and really battled, which is what I like to see. I always said that he could be our Gold Cup type horse. He has got everything going for him.” One Track Mind was bred by Tony Mullins.